On 6-29-16 at about 0330 hours an Officer on patrol in the area of Riverbank Park observed a large snake on the riverbank in the area of Speirs Street. The snake was eating a large mammal, possibly a beaver (not joking). A second officer arrived and they both watched it swim across the river to the Brown Street side of the Presumpscot River where it disappeared in the thick underbrush. They estimated its length to be at least 10 feet. WPD contacted the Maine Warden Service and they expect that the snake will remain dormant for a few days because it just ate a substantial meal. The snake has been dubbed “Wessie” or the “Presumpscot Python” by locals. We ask the public to be mindful of the snake’s presence in the area and immediately report any sightings so we can remove the animal from the river. No northern US snake gets that big. Snakes that size are native to tropical areas. The news of a possible escaped Burmese python set the town abuzz. This article noted that local businesses hoped it would be a draw, a clear case of crypto-tourism. After a week with no additional sightings confirmed, the Mayor said she called in an “expert” but declined to elaborate. Many local people were already looking for it. The article mentioned that “a local cryptozoologist and herpetologist group” had volunteered to help. It was news to me that back in 1985, the US Army commissioned an analysis of certain techniques that were proposed to enhance human performance. The Army Research Institute asked the National Academies to form a committee to examine these questionable strategies. The report is available here where you can read it for free. The following is my takeaway from this curious report. The committee looked at the relevant scientific literature and unpublished documents; each sub committee reported on their findings. Personal experiences and testimonials were not regarded as an acceptable alternative to scientific evidence, even though, as they note, people may hold them with a high level of conviction. The study was prompted by military people who may have been well respected and felt these phenomena had military potential, as learning and communication tools, or as threats or aids to defense. For example, random number generators (RNGs) were used to test for the ability of micro PK (psychokinesis). Those with this ability were said to be able to mentally bias the machine to produce non-random numbers. Ideally such power could be used to affect enemy equipment. Some types of enhancements examined are not that well-known to me or in my realm of interest: learning during sleep (concluded no evidence but a second look is warranted), accelerated learning (found little scientific evidence, but more investigation is needed), guided imagery, biofeedback, split brain effects, stress management, cohesion, influence, and parapsychology. (“The committee finds no scientific justification from research conducted over a period of 130 for the existence of parapsychological phenomena.” Therefore, the Army should drop it.) It was this last section, a subcommittee chaired by Ray Hyman, that was my focus. I found the entire report to be readable and rather interesting and wondered why I hadn’t come across it before. If anything, the appendix of key terms at the end is extraordinarily useful. The parapsychology section included examination of extraordinary mental abilities – remote viewing, micro PK, and the Ganzfeld technique for enhancing telepathy. I was familiar with the claims for remote viewing and Hyman’s critique of the Ganzfeld. I was interested in the state of parapsychology, having examined it through the Hyman/Honorton exchanges, therefore, this report added to my knowledge. I also knew of the academically-framed lab work of Jahn. Here in one place is a science-based committee fairly assessing ALL the evidence of these alleged paranormal powers. They concluded that none of it had merit and the military gave up on efforts to incorporate these techniques. The committee concluded that after 15 years of research, the case for remote viewing was very weak, virtually nonexistent. There were certainly claims by some researcher of a clear effect but these claims were exaggerated. Two research programs – Helmut Schmidt and Robert Jahn (PEAR) made up 60% of the experiments that had been conducted. Their results revealed a small departure from chance. A tiny effect is enhanced by the volume of studies that were incorporated. The report notes Jahn did 78 million trials! The more studies that show a tiny effect end up looking statistically significant when grouped together. But regardless, the effects were extremely weak. The parapsychology committee argues that most influential positive effect in Jahn’s massive database is the result of testing one person. This is not a robust set of data. In science, anomalies have a definition – they are a precise and specifiable departure from a well-defined expectation. In parapsychology, however, anomalies mean everything. They are vague and undefined – anything that looks odd is considered. With this wiggly definition, any one anomaly can have an infinite variety of possible causes, not all the same. That’s not particularly useful. Because parapsychologists do not have a theory to explain the anomalies, there is no way to show that the anomaly of one experiment is the same as the anomaly in another. Without a theory to hang the data on, we do not have a coherent class of phenomena. Arguments are made that “There’s something there.” Perhaps there is. Odds are, it’s not something paranormal, it’s an artifact of the testing. Then there is Cleve Backster who experimented on plants, testing them with a polygraph. His astonishing work on plant responses was popular in the press and appeared to be influential. People believed his study was scientifically solid. But it wasn’t. It was not repeatable with controls. The questionableness of his work never got out to the wider audiences. The idea of “bioenergetic fields” as discovered by Backster, was put forth as part of the explanation for dowsing, energy healing and remote viewing. The idea of plant telepathy and special perception is still supported by New Age purveyors. The Backster idea was something certain people WANTED to believe in. The dirty test tube critique was used by Hyman to criticize the Ganzfeld results. (And also the basis of Jim Alcock’s critique regarding remote viewing). Honorton eventually agreed with Hyman that the Ganzfeld experiments were not of optimal design, but insisted that didn’t affect results. If the scientific methods are not appropriate, error creeps in, the results are unreliable. In the conclusions of the parapsychology section, the committee determined that what they found, the research methods and results, were too weak to establish the existence of paranormal phenomena. Thus, it was recommended that such techniques were not worthy of investment. Yet, you will regularly encounter those who INSIST remote viewing works and has been successfully used. And there are those who insist parapsychology is/was successfully used by the military, and will eventually breakthrough and show all of us naysayers. I doubt it. It’s been a very long time, there’s been plenty of opportunity, but they’ve produced nothing convincing. If the military discarded the idea that the mind can be used as any sort of extrasensory tool or weapon, that clearly signals it’s not worth academic efforts to pursue either. The highly anticipated paper from B. Skyes regarding DNA testing of anomalous primates has been published and is, thankfully, freely accessible. In 2012, the team from University of Oxford and the Museum of Zoology, Lausanne, put out a call for samples of suspected anomalous primates – Yeti, Bigfoot/Sasquatch, Almasty, orang pendek. The samples, if accepted, would be genetically tested using a cleaning method previously vetted in the Journal of Forensic Science that removes all traces of surface contaminants (most likely human) to get to the original DNA sequence. A specific portion of the DNA was used – the ribosomal mitochondrial DNA 12S fragment – for comparison to sequences in the worldwide genetic database GenBank. A total of 57 samples were received. Two samples were actually not animal hair: one was plant material, the other was glass fiber. Those not trained in biology/zoology cannot always tell the difference between organic and inorganic matter or plant vs animal fibers, as we’d also seen from hunters collecting samples on the Spike TV show Million Dollar Bigfoot Bounty. 37 of the sample were selected for genetic analysis. 18 were from 8 U.S. states, including pairs from AZ, CA, MN, OR, TX. The rest were from WA, what is believed to be the prime habitat of Bigfoot/Sasquatch. 8 samples were anticipated to be the almasty from Russia. Three samples were collected in the Himalayan region of Asia and one came from Sumatra supposedly representing the orang pendek. Let’s see what the results were. Unfortunately, there were no anomalous primates in the lot. The sequences all matched 100%, there were no “unknowns”. One was found to be human – from Texas. That only one matched with humans is a testament to the rigorous cleaning method that removed contamination. Sykes revealed his thinking about Melba Ketchum’s paper by noting that human contamination often “confounds the analysis of old material and may lead to misinterpretation of a sample as human or even as an unlikely and unknown human x mammalian hybrid” (Ketchum, et al.). Therefore, her claim of rigorous forensic procedures is shot down, again. Incidentally, Sykes et al. does not consider Ketchum’s paper as a “scientific publication” likely because it was self-published. The Sykes et al. study is regarded as the FIRST serious study regarding anomalous primate DNA – he cites two others that were joke papers. Recall that Ketchum cited these in her paper as genuine, revealing her professional ineptness. While the Sykes, et al. paper lists Ketchum as a reference, it is only to cite it as a poor study, not within the valid body of scientific literature, with misinterpreted results. [Burn.] The quality difference between the two papers is remarkable. The Sykes paper is readable and understandable with minimal jargon and a clear presentation of the data and conclusions. Ketchum’s paper was gobbledygook and, with this new commentary on it, albeit subtle, is another death-blow to any further serious scientific consideration. All the U.S. samples turned out to be extant (already existing in that area) animals such as cow, horse, black bear, dog/wolf, sheep, raccoon, porcupine, or deer. There very clearly was nothing anomalous at all. All the Russian samples, at least some of which were collected by Ketchum associate Igor Burtsev, also were disappointing. There were two anomalies, however. Samples of raccoon and American black bear were among the Russian samples indicating either a mistake in the location of the samples or individuals of these animals were imported to Russia at some point and their samples left behind. Sadly, the orang pendek sample from Sumatra turned out to be from a Malaysian Tapir. This is not the first time tapirs have faked evidence for a Bigfoot creature. But I suspect this sample was very disappointing since the orang pendek is considered to be a plausible cryptid – likely a new species of primate. However, this test failed to provide support for that idea. The Nepal sample turned out to be a native goat, a serow. However, the other two Himalayan samples were the most interesting of all. Not one but two samples, those from Ladakh, India and Bhutan, matched a fossilized genetic sample of Ursus martimus, a polar bear of the Pleistocene era, 40,000 years old. Note: TWO samples! There was not a match with the modern species of polar bear. Thus, the study has discovered a new anomaly! This result is a boon to bear studies. Future research will continue to look for more evidence of the representative animal, hopefully a living one. 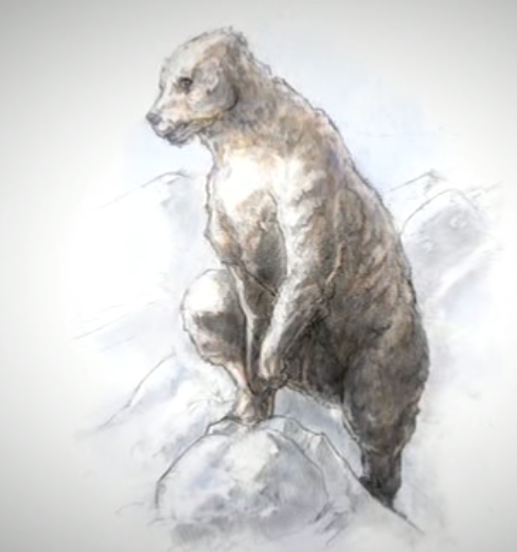 The paper is clear, as was the documentary on this discovered which aired months ago, this previously unknown hybrid bear may contribute to the yeti legend. The look and behavior are reportedly different from the other native bears. Is the Yeti a bear? Well, the yeti is a very general term and its description varies across the huge expanse of the world where it is reported to exist. 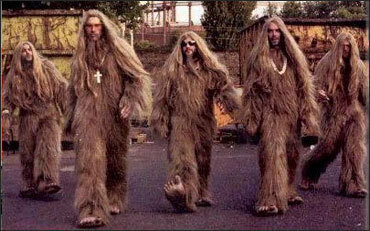 Even the orang pendek, more akin to an orang utan, is sometimes referred to as a “yeti”. Therefore, the “yeti” is likely not just one animal. It is feasible that this new bear constitutes one version of the yeti. Sykes has been open in stating that it does not mean a primate Yeti is not out there. It just means this result was not supportive of that idea. The main thrust of this paper hits the gut of cryptozoology. As it is practiced today by amateur Bigfoot hunters and monster trackers, it is not science. This paper represents science. It’s a high bar. I’ve said as much before. To do science requires very specific training. One result of the Ketchum fiasco and the Sykes “success” has been to educate cryptid hunters about genetics and reliable tests that can give them the results they desire. This project was an excellent example of amateurs working with professionals – exactly what needs to be done to make real discoveries and come up with better answers than “It’s a squatch”. Now, the modern field of cryptozoology has been put on notice. You need to raise the standards; you need to stop wasting effort. Blurry pictures or another FLIR recording of a warm blob is not going to constitute worthwhile evidence. We best learn about nature through a scientific process. That means amateurs must work WITH the experts, not rail against them. I was very pleased with the results of the Sykes, et al. study. I look forward to his book release on this topic as well. Here is something to keep in mind when listening to EVERY PARANORMAL INVESTIGATOR EVER (it seems) who is telling you his favorite “It happened to me” story. They will insert the phrase “I used to be a skeptic” in order to elevate the believability of their story. It’s a ploy they use without even knowing, in order to make themselves appear more credible. This may seem obvious but a new study has come out to demonstrate this in quantitative terms with experimental evidence. “Avowal of prior skepticism (APS)” – a narrative device designed to enhance the credibility of the narrator and meant to increase the likelihood that the listener will attribute the event to a paranormal cause. The technique “At first I was skeptical” is followed by a description of a potentially paranormal occurrence and then admission of conversion to belief. People will use this technique in conversation in order to show he is a normally rational person, not prone to silly ideas. It bolsters the source credibility which is really important if you are trying to influence the listener. It also is a way to be more potentially dramatic in a story. It’s a clue that something rather unbelievable is coming up and you should pay attention. “Stake inoculation” – a way that the narrator addresses in advance an expected counter argument. APS is a form of state inoculation since one of the obvious arguments against a person providing a questionable claim regards their believability and credibility. They don’t want you to think they are a gullible fool. Sheep-goat – the divide between “believers” (sheep, suggesting followers) and “skeptics”(goats, suggesting stubborn rejection). I prefer to use advocates versus counter-advocates. It’s less inflammatory. Also, I didn’t know that was a real thing people understood but I must have heard it a dozen times the past few months with regards to psychical research. The study showed that if you admitted you were a sheep before telling your amazing story, it wasn’t very convincing. People possibly saw you as overly-credulous. But if you preface the claim by saying you are a goat, people are more impressed and more likely to buy your amazing claim. UNLESS… they know you are doing this on purpose. When people knew of the strategy, they were likely to notice and see it as an attempt at manipulation. Being aware of this APS ploy is at least a little guard against how the narrative attempts to sway you. You may be more likely to focus on the evidence, not the flowery details designed to pull you in. When someone says “I was skeptical,” YOU should be more skeptical. Narratives are more persuasive than dry statistics or scientific messages because they carry value and emotion in the social act of communication. But narratives, we also call them anecdotes, are one person’s interpretation. They are unreliable for accuracy. Yet, it’s how we get most of our knowledge every day. We rely on what people tell us. HOW they tell affects what we believe. A few other tidbits were notable in this study. 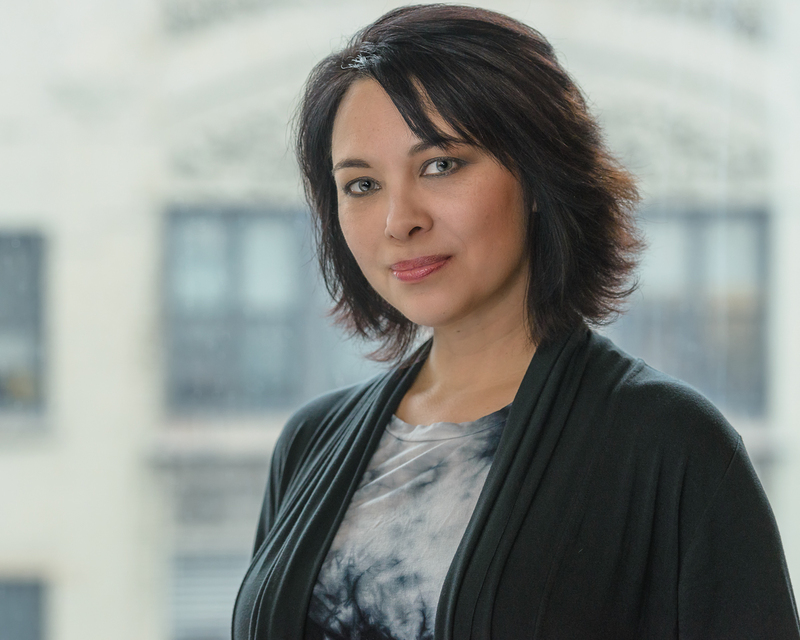 – Anna Stone coauthored An Anomalistic Psychology with Professor Chris French. I love the concept of this branch of psychology – to examine people’s strange experiences without presuming a paranormal cause. It’s a (big) step above parapsychology and I think the way this field is going. It certainly has the promise of progress, there is no house of cards being supported. – Women are still seen to be more gullible and less credible than men. Is this an old stereotype still hanging on? It’s worrisome to see that. I suggest skeptical woman provide more examples of why that’s not true. – It may not be education level that is a predictor of belief in the paranormal but cognitive performance. The author notes that students who are more analytical in their thinking are more prone to skepticism and thus a lower level of belief. Are we born with skeptical minds? Or are they made? I argue they CAN be made if guided early. – Finally, there was mention of peer pressure. You are less likely to express doubt if everyone else is on board. But, your expression of doubt can trigger the same in others! So stand up after that talk and express your doubts and ask the tough questions. The appearance of consensus can be influential to the person still sitting on the metaphorical fence. Once a belief is established, it’s REALLY hard to dislodge. So, it’s far better to prevent it from taking root. The world is a noisy place these days. Strange sounds abound. The paranormal/Fortean media outlets were abuzz about the strange sounds from the sky starting in the summer of 2011. These “sky noises” are anomalous sounds that appear to be emanating from above, and do not sound like your everyday planes, trains or automobiles (so people say). Things quieted down for a while but now, they are back. Yes, it’s summer and that means that strange stories flood the local news. Yet, people really are hearing these noises. Is it thunder, fireworks, earthquake sounds? Could it be HAARP, the magnetic poles shifting, the earth moaning cause, you know, it’s old and stuff…? Obviously, it’s horns from heaven, heralding the Apocalypse… Or alien spacecraft. Or Bigfoot. Or, maybe it’s just the normal noises around here. Thanks to the media coverage (which is typically terrible), mystery-mongering websites and forums, and people who believe the world may really be coming to end, some people are freaking out over these events. You shouldn’t freak out. I’ll show you why. But first, some background. I follow a lot of sources for news stories for Doubtful News including some more paranormally-minded or, should I say, unskeptical sources. I’m always interested to see what kinds of stories are circulating in that community and they are often the first to spot the bizarre ones. I use information from those stories to promote critical thinking about them. I think it’s harmful to spread inaccuracies so I wish to provide the skeptical, rational view. Every day, I scour the Internet for news. Not just any news. Weird news. What bizarre thing was seen, heard, or found today? This interest in the unexplained, mysterious, and Fortean is a perpetual thing for me. The first books I ever recall picking out as favorites were about ghosts, monsters, and UFOs. But the qualification for my interest was that I cared about them only because I thought they might be real. I began a website to highlight these paranormal and anomalous news stories. While there are a lot of strange news feeds and news aggregators that do this, mine is different. I didn’t just want to share these stories so you can pass them along your virtual circles. I wanted to discuss these stories. What about them was true? What was missing? Why did people latch onto certain ones and enthusiastically share them with everyone they knew, even if they were almost certainly hoaxes or exaggerations? One of my goals was for my website to show up in online searches for these topics so perhaps interested readers would stumble upon a more thoughtful analysis than what was found in comment sections after the news stories or on Internet forums.